Despite significant progress in the deep learning space, implementing scalable machine learning pipelines still presents critical challenges. Even the best teams struggle with effective iteration of models, reproducible work, and maintaining institutional knowledge when teammates leave. Gideon Mendels describes how leaning on traditional software engineering practices and tools contribute to these blockers and impact production model performance. These insights come from previous experience as a researcher at Columbia University, building deep learning models at Google, as well as experiences with Comet.ml, which enables data scientists to automatically track their datasets, code changes, and experimentation history. Gideon then outlines key opportunities to improve machine learning development through emerging software tools and algorithmic advancements, including reproducible experiment management, automated hyperparameter optimization, and model visibility. 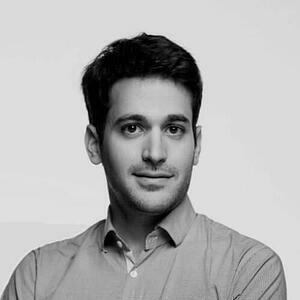 Gideon Mendels is the Co-founder & CEO at Comet.ml, a platform for data scientsits to automagically track their datasets, code changes, experimentation history etc. Previously he worked at Columbia University as a Researcher in Spoken Language Processing Group (GRA) where he took part in the IARPA Babel program for speech recognition technology for low resource languages. He also implemented and trained deep learning classifiers for language identification for over 500 languages. He also co-founded GroupWize, a platform that analyzes chat conversations from WhatsApp, LINE and other group messaging platforms.